In Rowan County, a few dozen working-class folks invested a little bit of money in a fledgling grocery store. Decades later, their investments were worth millions, and helped preserve their small town. Two men pulled into the driveway of a tiny two-bedroom brick house on Faith Road, a few miles south of Salisbury. Zeda Barger, an 81-year-old widow with white hair and big, round glasses, was waiting for them in her living room. Her confusion was only beginning. Catawba College needed $750,000 to renovate the oldest dormitory on campus, the men said. Stephen Wurster, the college president, had called Food Lion CEO Ralph Ketner to see if he knew of anyone who had that much money to give. Ketner suggested Barger. Barger still didn’t know why Ketner and Wurster were now in her house. “I don’t have any money,” she said. To get by, her sister had been sending her money to supplement her Social Security checks. Still, Barger knew who Ketner was. She and her late husband, a druggist named J.J., had made a $500 loan to Ketner way back in the summer of 1957, when Food Lion (then Food Town) was struggling to open its first grocery store in Salisbury. “Zeda, you didn’t loan it to me,” Ketner said of the money. “You bought stock in the company.” That $500 was now worth $2.5 million. The original stock certificates had been sitting in her dresser drawer. By that year, anyone who had invested at least $28 into Food Lion stock in 1957 was a millionaire, making it one of the most profitable investments in American history. The people who’d bought those shares were mostly working-class. Ketner and his business partners didn’t know anyone who might be able to give them a lot of money, so they went through the phone book, calling about 250 people who might be able to invest a little bit of cash at $10 a share. About half bought in. Names and amounts were written down on a legal pad. There were mill workers, a linotype operator, a doctor, a builder. Food Lion struggled for its first decade, before Ketner hit on the low-price, low-overhead model that sent his company’s value skyrocketing. Soon, Food Lion became the nation’s fastest-growing grocery store chain, opening hundreds of stores across the Southeast. 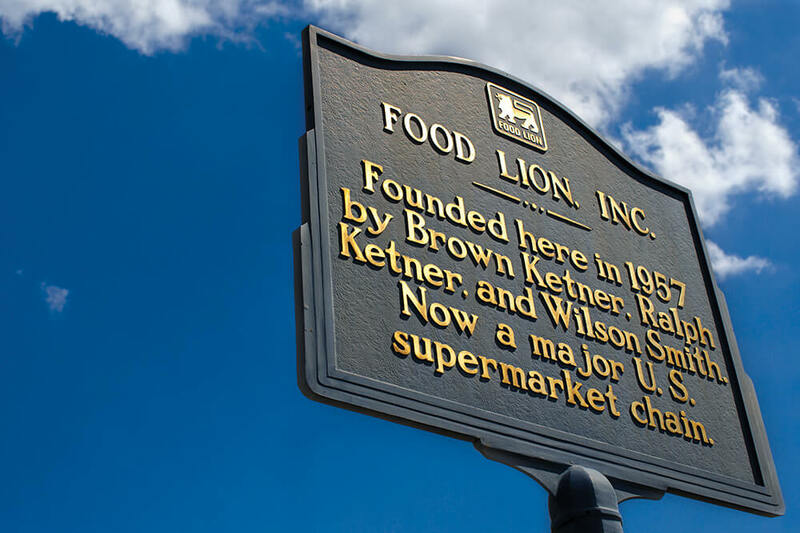 As Food Lion rapidly grew over the next two decades, Ketner and the company split the shares often to keep the stock price low to encourage more investment. Those splits exponentially increased the number of shares held by the original 1957 investors. Hence, by 1988, Food Lion had turned 87 of those investors into millionaires. At one point, small-town Salisbury had more millionaires per capita than any other city in the country. Still, Ketner figured about one in four, like Zeda Barger, had no idea what their investment was worth. Take Eli Saleeby, a Lebanese immigrant who came to Salisbury to open a small produce stand. He became an early investor in, and supplier to, Food Lion. Toward the end of his life, someone asked what he was going to do with all of his stock. I don’t have much, Saleeby said. No, he was told, you bought more than 50,000 early shares. Before he died in 1998, he was a multimillionaire. Once people found out they were millionaires, a funny thing happened. They, and their money, largely stayed in town. Salisbury is remarkably well preserved. Near downtown, hundred-year-old Colonial- and Victorian-style homes line the gridded streets of the historic district. 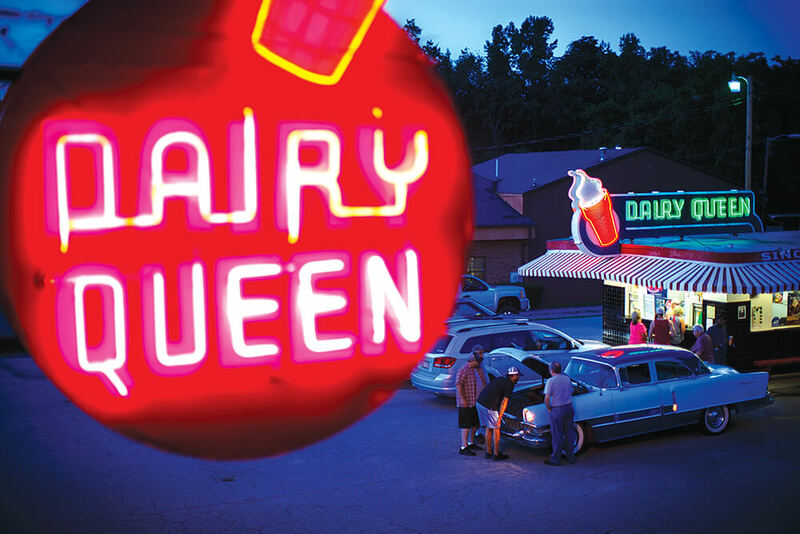 One stretch of West Innes Street has a locally owned drugstore, an original Dairy Queen, the neo-gothic red-brick buildings of Catawba College, and a new hardware store in the same building where the original Food Town opened in December 1957. 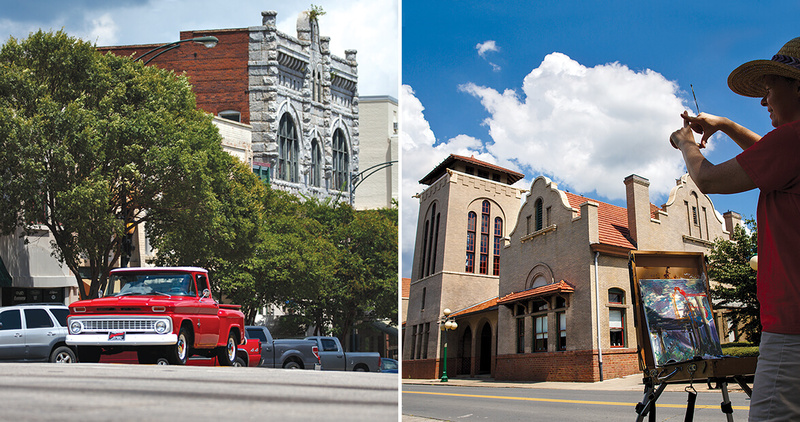 Downtown now features a blend of business, food, entertainment, culture, and urban living. Catawba College professor Gary Freeze says Salisbury reminds him of a grandfather clock whose innards have been refurbished. Many others remark that this is a new, old city. Food Lion stock is a major reason why, as investors cashed in to renovate and preserve historic homes, buildings, and landmarks. Salisbury has a gorgeous Spanish Mission-style train station, still functioning, that was built in 1908. Food Lion stock helped pay for its renovation. Ketner built 24 homes for struggling families. Downtown, he renovated a seven-story building, the tallest in Salisbury, and donated it to the city to redevelop into shops and apartments. Ketner estimated that he gave away 35 percent of his fortune, and donated most generously to Catawba College, where he taught at the new Ralph W. Ketner School of Business after his retirement from Food Lion in 1991. Smith has seemingly endless stories about those original investors, each tale better than the next. You won’t believe this story. Listen to this. Here’s another for you. This is a crazy one. Smith’s childhood pediatrician, Dr. Glenn Kaiser, bought $1,000 worth of stock. After his death, the Rowan Medical Center received a check from his estate — for $17 million. Fred Stanback ran a headache powder company, but he was also a big early investor, and was later the best man in Warren Buffett’s wedding. He and his wife donated more than $2 million to preserve Chimney Rock as a state park. In the mid-1970s, Smith and others created an employee stock purchase program. Some high school kids and bagboys bought in. And today, some of them are millionaires. The energy here emanates from the spirit of the people who quietly became more than just millionaires. The energy here, still, emanates from the spirit of the people who slowly, and quietly, became more than just millionaires. They were already invested in the community, and when they became rich, their next investment was in Salisbury itself. They all understood just how far a little faith can go. “I am blessed beyond measure,” says Smith, who, back in 1957, received 50 Food Lion shares from his father. He, like so many others, knows the value of holding on. Founded in 1753, Salisbury has a long, rich history. You can catch glimpses of its well-preserved past all over the city, if you know where to look. The cherry-flavored soda was founded here in 1917, and it’s still bottled by a family-run company that’s based in Salisbury. For more than 50 years, the NSMA’s awards banquet has brought famous writers and sportscasters to town, and its hall of fame includes more than 80 sports media legends. This historically black private school hosted the first African-American intercollegiate football game on its front lawn back in 1892. 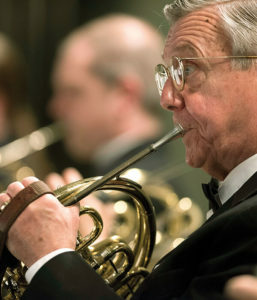 The 2016-2017 season marks Salisbury Symphony Orchestra’s 50th anniversary. In 1966, Samuel E. Duncan, then president of Livingstone College, collaborated with Catawba College president Donald C. Dearborn to make Duncan’s idea for a symphony orchestra a reality. The first concert was presented on November 6, 1967. 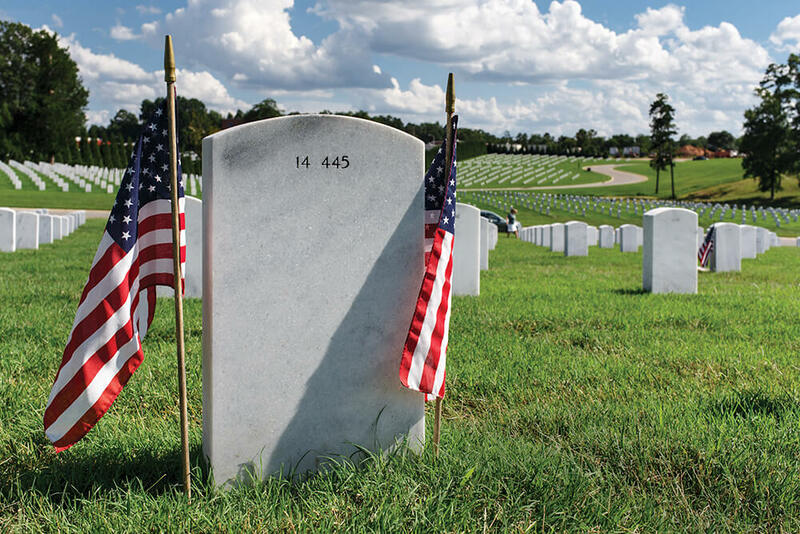 Salisbury National Cemetery was created by Confederate leaders to serve as a burial ground for Union soldiers who were held at a nearby prison. It was formally dedicated in 1874, and the states of Maine and Pennsylvania have erected monuments to honor their soldiers who are buried there.